Municipal Court Reform – A Time for Fairness! Legislation is being proposed to dramatically decrease the fines and penalties that can be imposed in Municipal Court. On July 17, 2018, a New Jersey Supreme Court committee issued a scathing report calling for municipal court reform. The committee, formed by Chief Justice Rabner, called for the end of excessive monetary penalties and discretionary sanctions such as the suspension of driver’s license privileges, and questioned political influences that can affect judicial independence. A driver convicted of minor motor vehicle violations can be subject to fines and penalties of thousands of dollars. In 2017 alone, New Jersey municipal courts collected over $400 million in revenue, with more than half of the money being turned over to municipalities. 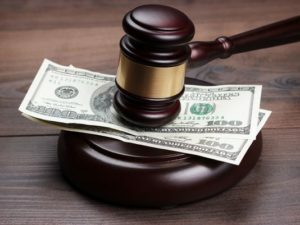 Legislation is being proposed to dramatically decrease the fines and penalties that can be imposed in municipal court and to eliminate the political influences that may affect a judge’s impartiality. Many feel that municipal court reform is long overdue. With the Supreme Court’s specific recommendations for reform the legislature is beginning to take steps to provide more fairness and judicial independence in our municipal courts. Contact the attorneys at Daniel M. Rosenberg & Associates, LLC to learn more about Municipal Court reform and how you may be impacted.